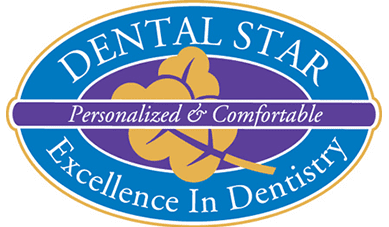 If crooked teeth lower your self-confidence or prevent you from thoroughly cleaning your teeth, Dr. Vladimir Potepalov and the experienced dental team at Dental Star New Jersey in Englishtown, New Jersey, can help. An orthodontist helps fit your mouth for noninvasive clear aligners or braces to straighten teeth, restore your smile, and improve self-esteem. Call today to learn more or use the online scheduling tool. Orthodontists are dentists who specialized in orthodontics dentistry, as these health professionals complete additional training beyond dental school. Will I need orthodontic treatment? Numerous orthodontic options are available to you, such as clear aligners and adult braces, depending on your individual needs and preferences. How do aligners and braces work? For minor alignment irregularities, clear aligners can slowly shift teeth into a more desirable position. Clear aligners are nearly invisible, so most people won’t know you’re wearing them. You can take aligners out to brush your teeth and eat, and you’ll achieve desired results in as little as six months. Traditional braces are appropriate for more severe cases and utilize brackets, or anchors, to stabilize dental hardware in your mouth. The brackets are often clear in color to reduce the appearance of braces. Brackets are securely placed on the front or back of teeth to slowly achieve proper alignment. Braces help children achieve the beautiful smile they desire. Your dentist lets you know which type of braces are most appropriate. He may recommend fixed braces containing brackets, headgear, clear aligners, or retainers worn after braces are removed. Dr. Potepalov and his team let you know which orthodontics option will yield the best results for you or your child based on each unique situation and your preferences. When you or your child are ready to achieve straighter teeth and a more attractive smile, call Dental Star New Jersey today or book an appointment online with Dr. Potepalov.